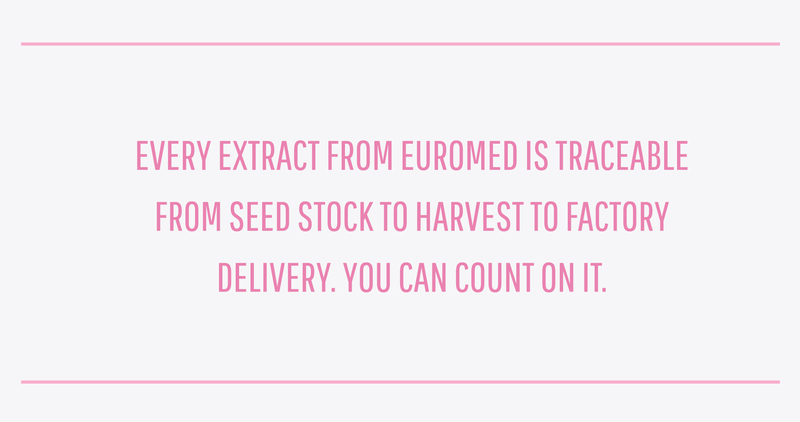 While creating botanical extracts for 46 years, Euromed has been consistently compliant in Europe—where standards are historically higher—and in the United States. 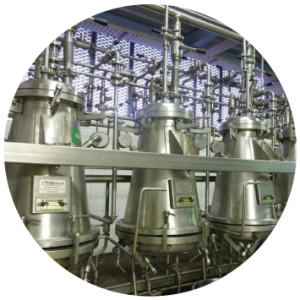 We were awarded the NSF GMP certification in record time, followed by the prestigious ISO 9001 certification. Both of these certifications let you know that Euromed is a reliable supplier. But Euromed’s PhytoProof seal is the ultimate symbol of rigorous testing and product quality. For example, with black cohosh extract, the PhytoProof process starts with the selection of superior quality, wild crafted Actaea racemosa. The root of the black cohosh plant is evaluated to make sure it is the proper species using TLC analysis and/or DNA testing. All botanicals are cultivated using Good Agricultural Practices. For wild grown plants, good stewardship of sustainability is employed. Once the plants have reached maturity, the chemistry of the plant part is evaluated for content and composition. 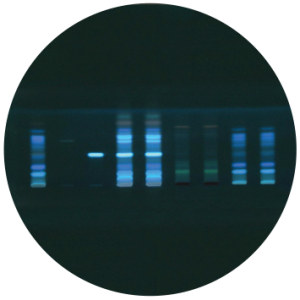 Plant species authenticity verification is employed utilizing the latest technology, such as HPLC, GC and HPTLC testing, as well as microscopic and macroscopic plant morphology. This confirms that the correct species has been selected. The most desirable seeds are retained for the next agricultural crop. Our auditing team of agronomists and horticultural experts is constantly on-site in the fields for inspection of the seed cultivation, evaluation of environmental conditions and training of agricultural workers. This ensures that our farmers follow Good Agricultural and Collection Practices (GACP). Each farm undergoes a comprehensive facility audit.